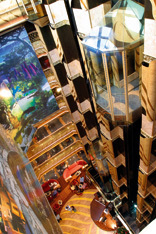 Costa Magica is one of the largest ships in the Costa fleet. This magnificent vessel pays homage to some of Italy's finest destinations; each public room and restaurant is themed after famous Italian cities, and will educate you about the culture of these places, as well as provide a stunning visual delight. 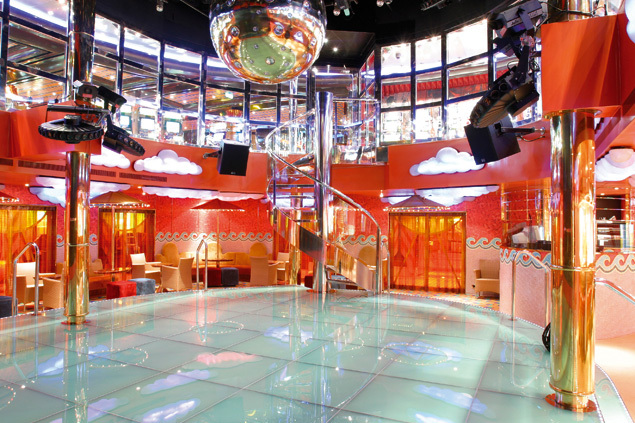 Enjoy delicious meals, a friendly atmosphere, relaxing activities, and fine nightlife - all together on this fine ship. So get ready for an amazing vacation, and book a cruise on Costa Magica today. Costa Magica has four swimming pools - one for children, and one with a retractable roof, as well as six Jacuzzis for guests to relax in. Add to this a fitness center complete with a gym, aerobics classes, a jogging track, and sports courts, and you will find something to do for the entire day. The Venus Beauty salon is a great place to have a manicure or a pedicure. Relax and take in the sun at the Solarium, or go shopping at the shopping center. 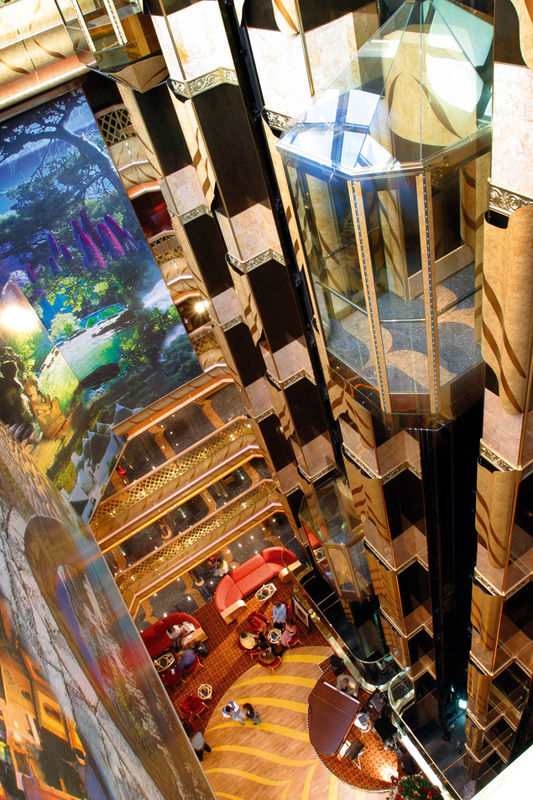 The ship also has an art gallery, a library, a card room, an internet center, a virtual game room, and even a chapel. For the kids, there is the Squok Club, which provides organized and supervised activities for kids of all ages, including Playstation game system. 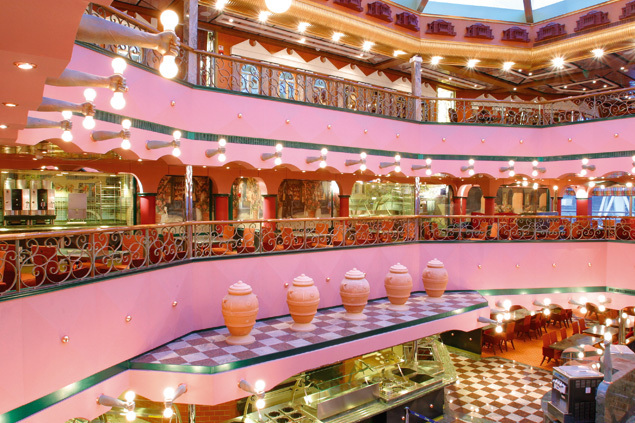 Costa Magica offers fine dining in four unique restaurants. Each with a different menu, you will enjoy a gourmet meal no matter where you go. The Costa Smeralda Restaurant, the Portofino Restaurant, and the Bellagio Restaurant Buffet are all located on two levels each. The Club Vincenza features a great a la carte menu, too. Remember, the ship also features a room service menu; available delivered to your stateroom at your request. 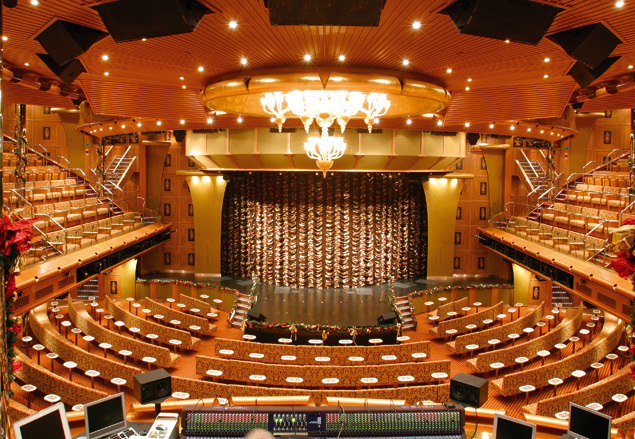 Enjoy live entertainment on Costa Magica - the Urbino Theater, which spans three levels, has nightly performances. 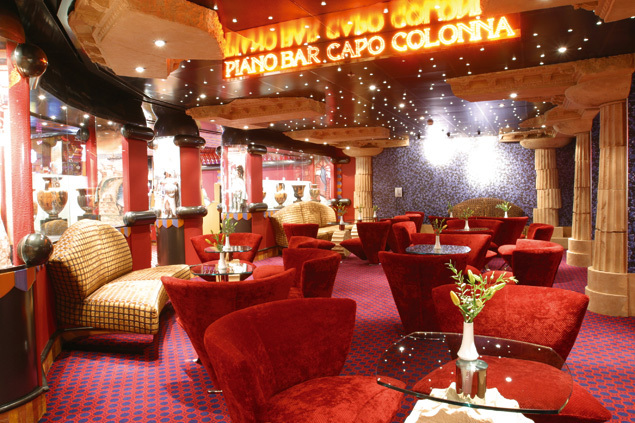 The ship has nine bars, including a Cognac & Cigar bar and a Piano Bar, as well as the Club Vincenza, the Spoleto Dance Lounge, and the Grado Disco. Try your luck at the Sicilia Casino, where you can enjoy all of your favorite casino games in a relaxed atmosphere. Gather your friends, and grab a cocktail, or have a drink on deck and bask in stars of the night sky.